Braedon "Bones" Roberts is used to getting his own way. As leader of Black Dove Security, he runs an efficient and often deadly team of operatives who specialize in keeping the rich and famous safe. There isn't a situation in the world he can't tackle and come out on top of...until he meets Witty and smart Doctor Abigail Baker, the lead scientist who's tasked with discovering the cause of mass bleeding deaths in the Kenyan desert. 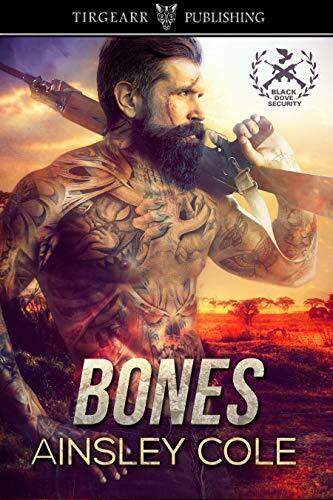 Abigail grinds on Bones' nerves with her forthright honesty, but he can't keep her out of his mind and his dirty fantasies, and before long, they're closing in on becoming more than colleagues in a dangerous realm. Bones has a decision to make-keep Abigail in Kenya to find out what is causing the disease, or flee from the militia and protect her life. Either way, he's playing with fire, and at the center of it all, she's a woman he'd lay down his life for.